Seattle artists are opening galleries in their homes and garages, even creating an art gallery that’s also an Airbnb — part of a growing trend of artists and art lovers finding innovative ways to support art in a city with skyrocketing rents and stagnant art sales. 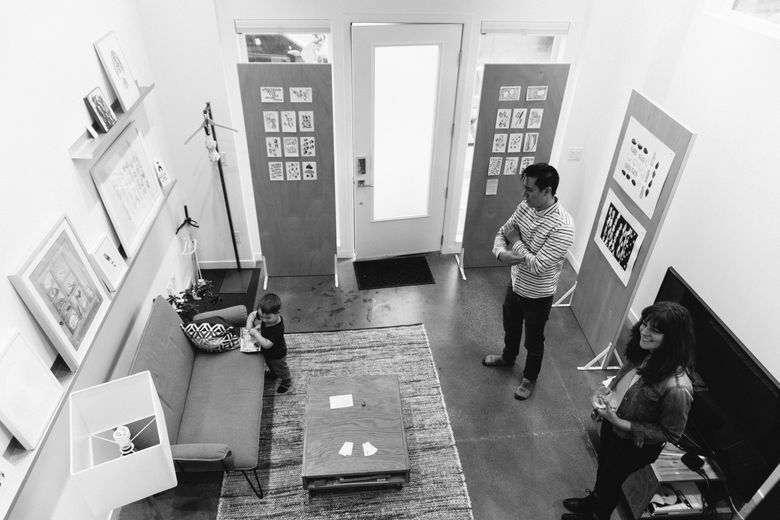 In the quiet Seattle neighborhood of Magnolia, behind a plain garage door, lies a cutting-edge art gallery. On most Saturdays, homeowners-turned-curators Jillian Strobel and Anthony Sands roll up the garage door, put their sign on the sidewalk and invite curious neighbors and artgoers to check out the small, smart exhibitions at their Strobel & Sands gallery. In giving over part of their home to art, Strobel and Sands are the latest Seattleites to join a history of Do-It-Yourself galleries. They’re also among a host of artists and art lovers finding innovative ways to support art in a city with skyrocketing rents and stagnant art sales. Some are opening in-home galleries, others converting garages into exhibition spaces and, in one case, remaking part of a home into a gallery/Airbnb whose rental income helps support artists. And hosting in-home galleries isn’t just about economics. It’s influencing the artists’ works, creating opportunities to be more experimental, spurring conversations and building community. Check websites for hours (some galleries require appointments) and for current or upcoming exhibitions. At Strobel & Sands, in addition to curating the garage-turned-gallery, Sands is a furniture maker with a background in art and design; Strobel, who has an MBA in arts management and experience in curating and marketing, works in a local architecture firm. 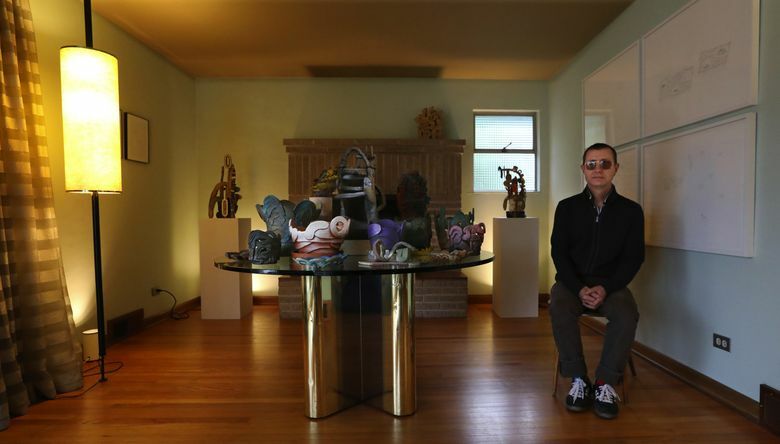 In the Greenwood neighborhood, artist Josh Poehlein also converted his garage into a gallery. Poehlein had been intrigued by the DIY gallery scene in Chicago, where he received an MFA in photography from Columbia College. 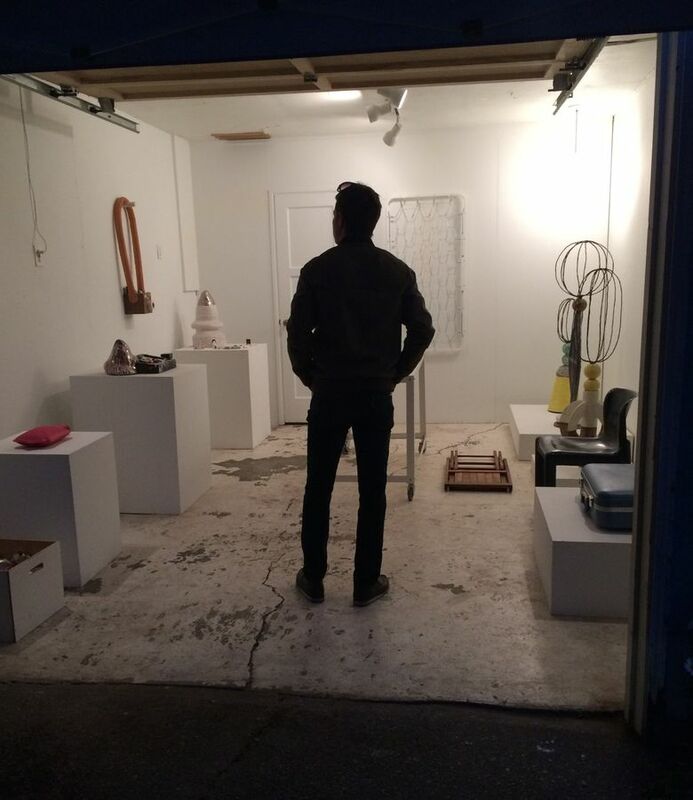 So when he moved to Seattle and found a rental with a rundown garage, he renovated it into SAD Gallery, for which he has organized two-person shows since 2015. “It’s about connecting with the Seattle scene, connecting people I’ve known from the past with new people,” he says. Artist and art dealer Robert Yoder — a respected figure in the local and national art scenes — has curated his home-based gallery, SEASON, since 2010. From the modest exterior of his ranch-style home in Ravenna, you might not guess all the activity within. 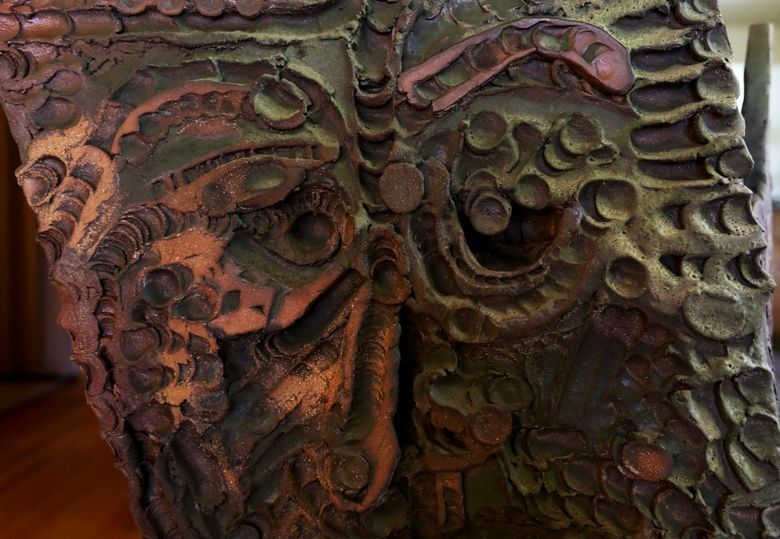 In addition to championing artists at art fairs across the country and creating his own work, he puts on four exhibitions a year, with intriguing work thoughtfully placed in various rooms. Over in Ballard, Kascha and John Snavely are also interested in blurring the line between home life and public life. In May, they converted a live/work unit at the front of their home into an Airbnb and art gallery, aptly named The Vestibule. 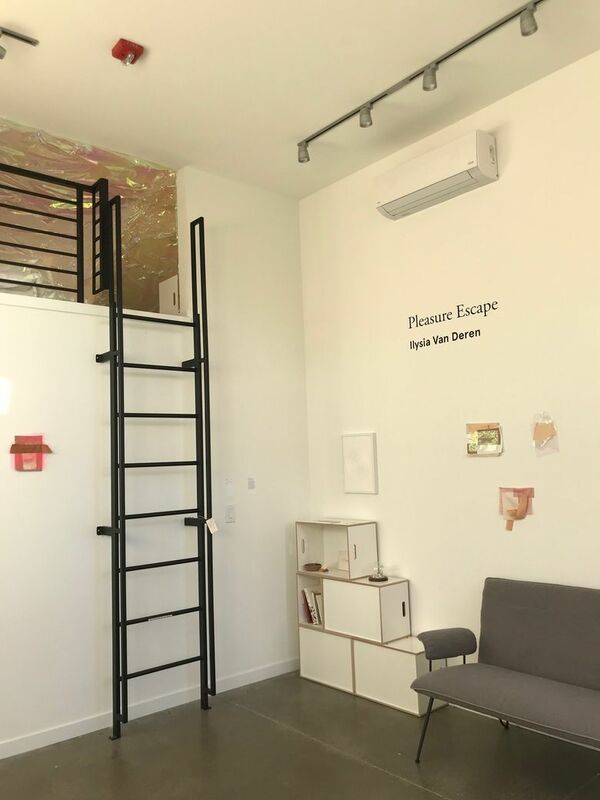 The Vestibule uses Airbnb income to support artists in creating and exhibiting new work. And it offers a unique experience for folks to live with art, if only for a night or two. Visiting artists can stay at low rates or for free. 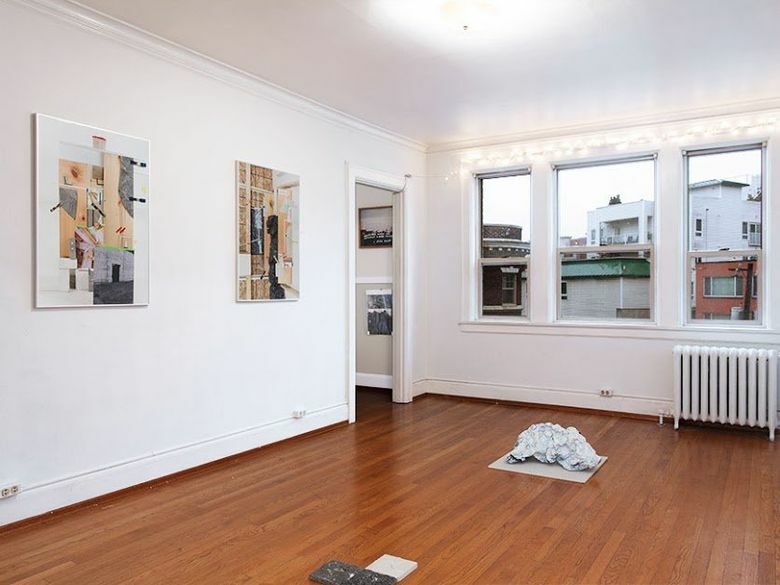 The Vestibule, SEASON, SAD Gallery, and Strobel & Sands continue the DIY ethos of past in-home galleries, many of them located on Capitol Hill, that helped shape Seattle’s art scene. 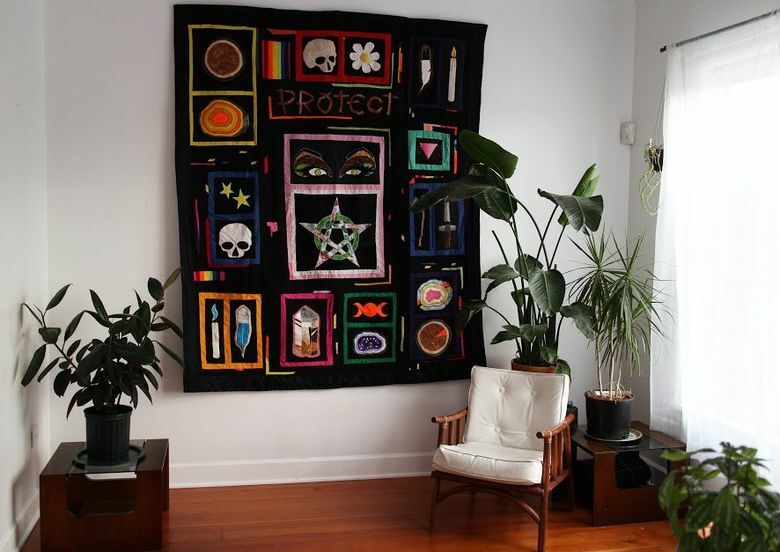 Curator and artist Sierra Stinson opened the influential Vignettes in her apartment in 2010 in response to the decline of commercial art galleries and lack of noncommercial spaces in which unrepresented artists could exhibit. Vignettes, now co-run with Serrah Russell, an artist and self-described “enabler of artists,” is no longer an apartment-gallery, having expanded into other kinds of programming including online-arts criticism and exhibitions in residences across town. In February, Russell and Stinson will partner with Hybrid Architecture to open Found, an experimental performance and exhibition space on Capitol Hill. Artist Joe Rudko was so inspired by the experience of exhibiting at Vignettes that he decided to host his own in-home gallery — Two Shelves — with his partner, artist Kelly Bjork. After moving from Bellingham in 2014, they mounted some narrow shelves to display their own collection. 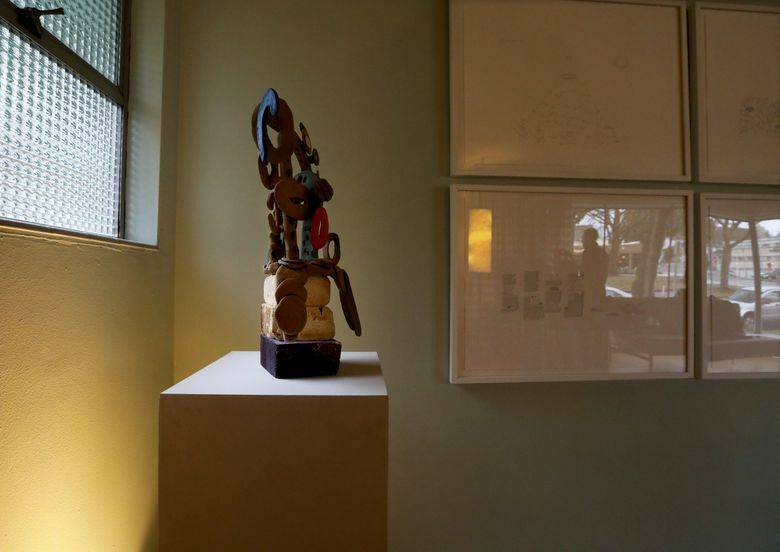 Stepping back, they realized they could invite artists to respond to those two shelves as “a constraint and motivator to make and exhibit new work,” Rudko said. Two Shelves is currently on extended hiatus while Bjork and Rudko are busy with their own work. The Calypte Gallery, which began in 2014 as a one-night-only exhibition in conjunction with a Capitol Hill Art Walk, recently mounted its last show, as owners Andrew Whitver and Kevin Brannaman plan a move to Spokane. That first show featured esteemed artist Robert Hardgrave, kicking off three years of exhibiting talented artists including Kimberly Trowbridge, Gala and Zack Bent and Jeffry Mitchell.